It's more important than ever to be aware of what consumers are saying about your auto dealership. Negative online reviews can cause tremendous damage to your dealership’s reputation and sales. 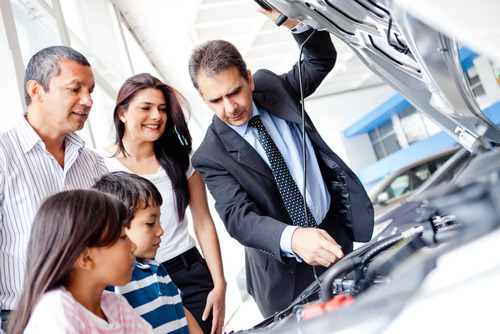 Consumer reviews may include both positive and negative commentary regarding price, customer service, as well as overall quality of their vehicle and their experience with your dealership or service department. Positive reviews are fantastic and we'll write a blog post in the near future about how to acquire more written positive reviews online. It's the negative reviews that you need to know about quickly, however, so you can properly address them before they do harm to your dealership's reputation. Fortunately, there are some great free software tools available online to help you monitor your auto dealership's reputation. Here, we highlight four of our favorites. 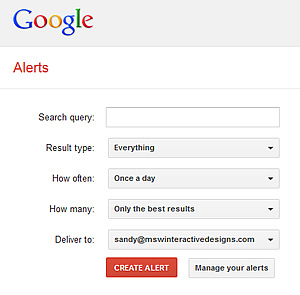 Google Alerts are free email updates of the latest relevant Google results (web, news, etc.) based on your queries. You consider setting up Google alerts for your business name, the names of key team members, and your website address, at a minimum. Simply enter your query string, then select the result type(s) that you would like to receive, how often you would like to receive alerts, and how many alerts you'd like to receive. Google will then send you emails alerting you to any mentions concerning your business, as well as any other alerts you setup. Social Mention allows you to easily track and measure what people are saying about you, your company, a new product, or any topic across the web's social media landscape in real-time. Social Mention monitors 100+ social media properties directly including: Twitter, Facebook, FriendFeed, YouTube, Digg, Google etc. STRENGTH is the liklihood that your brand is being discussed in social media. 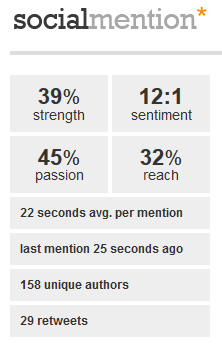 A simple calculation is used for this: phrase mentions within the last 24 hours divided total possible mentions. SENTIMENT is the ration of generally positive commentary to generally negative commentary. PASSION is the measure of likelihood that people who are talking about your brand will do so repeatedly. REACH is a measure of your range of influence. It is the number of unique authors referencing your brand divided by the total number of mentions. You simply go to the website, enter your business name (or other query) and Social Mention will return the results (with links) to all the mentions across the social platforms. It also returns (with greater detail) the data outlined above. Mention is similar to SocialMention.com in that it queries the social media channels for your brand mentions. 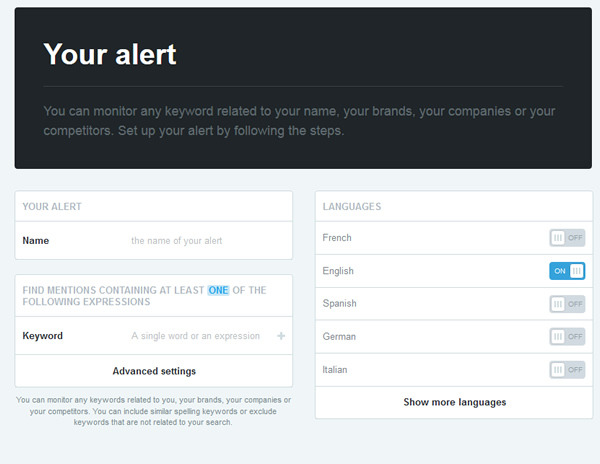 Create alerts on your name, your brand, your industry and your competitors and be informed of any mention on the web and social networks. The nicest feature of Mention is that it is accessible across all devices (desktop, laptop, tablet, and smart phone). It also provides real time alerts. This can be invaluable when it comes to negative mentions of your brand, because you are alerted immediately. NetVibes is a pretty powerful dashboard, allowing you to monitor your brand across Google, the blogosphere, and the social platforms. The free version (somewhat limited) allows you to enter your business name and view real time results. NetVibes does have an option to upgrade which includes some pretty powerful analytics. A Consumer Survey (2012) indicated a positive shift in consumer trust of online reviews. 72% of consumers surveyed reported they trust online reviews as much as personal recommendations. 52% indicated positive online reviews make them more likely to use a local business. Additionally, the survey revealed 65% of consumers read between 2-10 reviews before they felt they could trust a local business. Clearly, regardless of the tool that you select, it's critically important to be proactive and monitor your auto dealership's reputation online. In upcoming posts, we'll share ideas for soliciting positive reviews online, as well as how to proactively and effectively deal with negative reviews. Novera Payment Solutions is a leader in the credit card payments industry and is committed to helping auto dealerships and other businesses improve the bottom line by providing significant savings on credit card processing fees through our innovative flat fee pricing model. Novera’s consultative approach allows us to thoroughly educate our clients, equipping them to better understand this complicated industry. We take the mystery out of the credit card processing business. We work with all types of businesses across the country, and one our specialties is auto dealership credit card processing. Contact Novera to learn more about how we work with small businesses, auto dealers and auto dealer associations to provide the most fair and transparent pricing structure available on the market today for credit card processing. 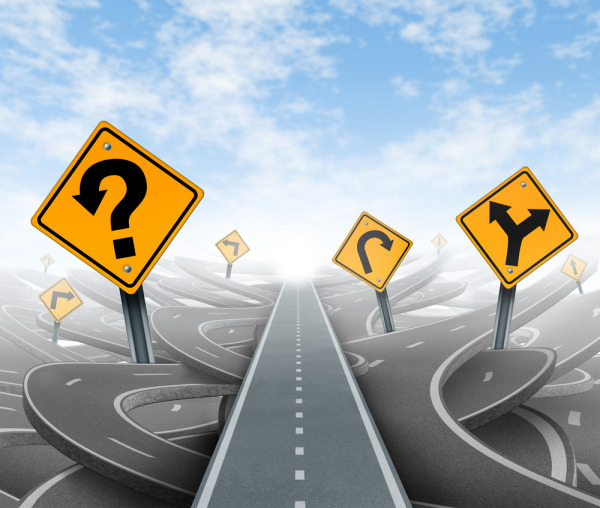 There are several misconceptions in our industry that lead to confusion about credit card processing rates and fees. Here we highlight the reality of the top 3. Misconception: More often than not when a payment processing account executive presents their services they may only quote one rate that sounds something like 1.29% and 15 cents. This can lead the business owner to assume that this is the only rate that will ever be charged for all payment acceptance. Reality: In most cases there are many different rates applied. These rates are applied depending upon the type of card and how that card is accepted for payment. For example, a corporate credit card has a higher cost than a personal debit card and a swiped transaction generally is less than a non swpied transaction. Misconception - Account executives for payment services may tell business owners that they will give them card swiping equipment for “free” when they switch to their processing services. They may make this equipment appear to be worth much more than it actually is so it appears like they are giving the business owner a great deal. Reality - Most things in this world are seldom free. That pricey piece of card swiping equipment most likely can be purchased elsewhere for significantly less than what most Account Executives will lead you to believe it is worth. Usually the higher processing rates, and other fees, cause many small businesses to end up paying for their equipment many times over throughout the term of their contract. Misconception - Fees such as statement fees, data security fees, batch header fees, monthly minimum fees, and a host of other fees are necessary administrative costs to keep payment processing services operating. Reality - There are costs to maintain processing services. However, many fees are there to create additional margin and further cutting into the businessowners profit. There are few things more frustrating to auto dealerships than losing precious recurring service business to the aftermarket. Fortunately, several strategies are available to help auto dealers to build service retention programs and to profit from them. Let's review two popular approaches. The obvious reason for implementing a PPM is to keep customers coming back to your auto dealership for their recurring maintenance needs. With properly trained service advisors and proper pricing, PPMs can be profit providers rather than loss leaders for auto dealers. In recent auto dealer news, a consumer survey conducted by DMEAutomotive (as reported in the January 2013 Issue of Auto Dealer Monthly), indicates there are some other interesting reasons to consider a PPM. 56% of consumers with PPMs (or complimentarty maintenance plans) are likely to continue serving their vehicle at the dealership after expiration. Approximately 1 in 4 automobile owners have some type of PPM and 62% of those who use the plan for all their maintenance needs are likely to stick with their dealer. Next generation servicers (under 35) are more likely to have a plan (31%) than those over 35 (18%) and are more likely to have all service done at their dealer under their plan (72%) than those over 35 (62%). 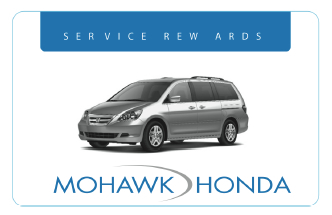 Ongoing interaction with satisfied customers through the life of the vehicle builds relationships and customer loyalty. Pre-Paid Maintenance Plans are clearly a good option to consider for your auto dealership. Auto dealership customers who were enrolled in rewards and loyalty programs visited their dealership every 4.26 months versus every 6.82 months for non-members. The average annual member spend paralleled the increase in service visits with a 97% increase. Retention of loyalty/reward members was nearly 60%. Card has been terrific for our dealership. We use it for bird dogs and also as a tool to help close the sale”. The idea of the auto dealer customer loyalty program is to use it as a marketing tool to help your dealership sell more cars and get additional service business from your existing customers. Just as with pre-paid maintenance plans, customer loyalty card programs keep car owners coming back to your dealership through the life of the vehicle, allowing you to cultivate long term relationships with your customers and ultimately create repeat purchasers and referrers. 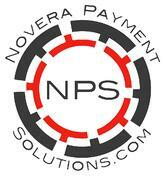 Novera Payment Solutions is an industry leader in auto dealer service rewards programs, as well as flat fee credit card processing for automotive dealerships. With proven successful partnerships serving the New Jersey Coalition of Automotive Retailers (NJCAR), the New York State Automobile Dealers Association (NYSADA), the Mississippi Independent Auto Dealers Assoc. (MIADA), and the Massachusettes Independent Auto Dealer Association, Novera Payment Solutions helps auto dealerships sell more cars and get additional service business from existing customers. In recent auto dealer news, according to a comprehensive MediaTrac study of 72 auto dealerships and over 6 million repair order transactions from January 1, 2010 through February 29, 2012, "customers chose to stay longer, spend more, and repurchase more often at dealerships that reward their patronage." Not surprisingly, MediaTrac's study showed that auto dealership customers who were enrolled in rewards and loyalty programs visited their dealership every 4.26 months versus every 6.82 months for non-members. The average annual member spend paralleled the increase in service visits with a 97% increase. Additionally, retention of loyalty/reward members was nearly 60%. Given these statistics, an auto dealer loyalty program with service rewards can be the difference between growing your business or losing to the competition. Sean Grace, President of Novera Payment Solutions, and a leader in the auto dealer payment processing industry encourages auto dealers to take what is in essence a “tax” on the auto dealership (credit card processing) and turn that commodity into a powerful marketing tool through the use of loyalty card programs. This helps auto dealerships sell more cars and get additional service business from existing customers.